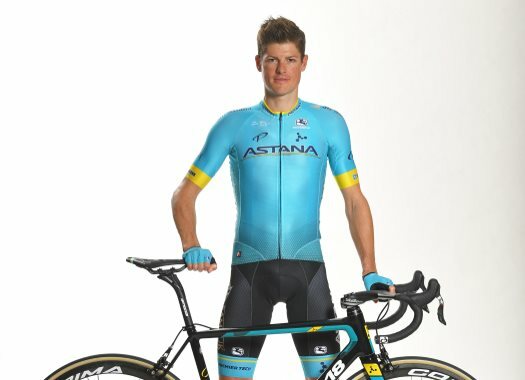 Jakob Fuglsang has finished Itzulia-Vuelta al Pais Vasco in the fourth overall position but in the podium ceremony, he climbed onto the third step. Confusion in the last kilometre took Emanuel Buchmann out of the podium, but the race organisation gave him back enough time to officially return to the top three of the race. When the race winner Ion Izagirre and Jakob Fuglsang were already after the finish line, the group of Buchmann took the wrong way as it was misled by workers of the race organisation. This put the German rider in the fourth position of the General Classification but after the race reviewed the incident, by request of Bora-hansgrohe, it gave him back 15 seconds. But this happened after the podium ceremony, in which Fuglsang celebrated his third position in the overall standings. In the end, the Dane finished fourth in the General Classification. "Honestly, it was a very strange decision of the jury," he commented. "Of course, I am disappointed with it. I think this is not normal, when you do all the podium ceremony and, finally, remain fourth. I did not know, what happened there behind me, but all this situation looks so wrong and ridiculous. "Anyway, I am happy for Ion Izagirre and his victory. It was our goal today and, in general, at this race. Today we were very motivated and we did all we planned. In the break I just gave my best, I pulled in front as much as I could and I never thought about my personal result and my position in the general classification. It was all or nothing for Ion and I am proud I was part of this great win!"